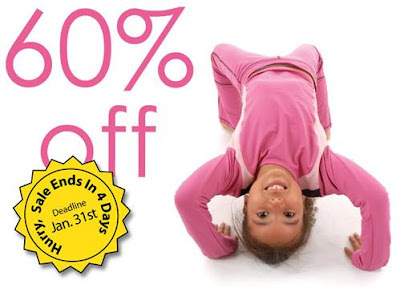 You have just 3 more days to take advantage of this awesome 60% off sale on Agoo's premium active wear clothing for kids! Shop now with coupon code AGOO60P and get 60% off all remaining Fall 09 in-stock active wear and also receive FREE shipping on any order over $50. A terrifc deal on this Canadian company's apparel. Where else can you find UV protected, stain-resistant, comfortable and chic styles for babies and kids? Hurry while supplies last! Sales Ends Jan 31 until supplies last. 0 Response to "Only 3 Days Left - 60% Off Agoo Active Wear for Babies and Kids"